CES may almost be over, but there's still plenty to talk about at the Las Vegas Convention Center. We learned why Microsoft's presence at CES may be subtler these days, and that GoPro's obsession for extreme sports has found a home on Xbox Live. We also saw Fleksy bang out emails on a smartwatch and had our faces digitally rearranged by a Kinect-equipped makeover machine -- but that's nothing compared to what we've hidden past the jump. Read on for a look behind the show, technology and awards that define CES 2014, day 4. Remember those finalists we told you about yesterday? We finally picked through them, and after heavy deliberation, heated discussion and an impromptu water bottle fight, we finally made a call: The winners of the Best of CES 2014 Awards are here. Innovation, clever design and potentially industry-changing tech fill out all 14 categories, and we couldn't be happier to gush over them. We didn't do all the work though; 54,511 readers voted on the People's Choice Award, selecting the Razer Nabu smart band by a landslide. Already scope out the winners? Why not take a look back at how we made their trophies, then? Celebrities often drop by CES to help promote products, build hype or awkwardly stumble off stage. Sometimes, however, they're here for more than mere marketing. 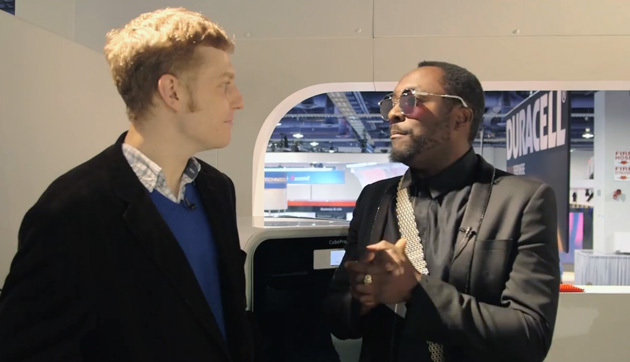 When The Black Eyed Peas' will.i.am was named creative director of 3D Systems, we knew we had to ask the musician exactly what he would be doing for the 3D printing giant. "Geeks are the coolest people on the freaking planet," he told us. "Every young kid in the inner city needs to know that." will.i.am has big dreams for emerging technologies, education and sustainability, and has a passion for making sure groundbreaking devices like 3D printers don't get stuck in a stagnant niche. It certainly wasn't the interview we expected. Check it out. BMW's self-driving cars may not be ready for consumers until 2020, but its ConnectedDrive parking technology is ready right now. 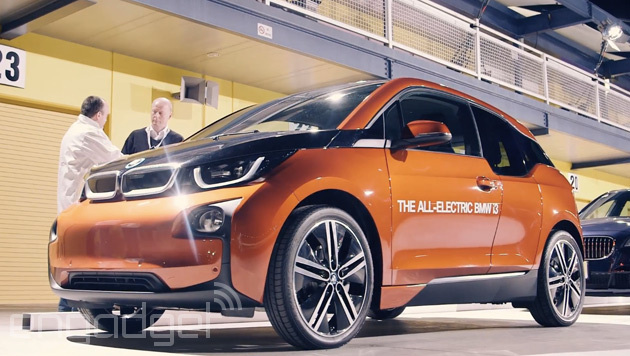 We dropped by the automobile manufacturer's car lot one more time to check out the BMW i3's parking package, a $1,000 add-on that outfits the vehicle with ultrasonic sensors and the ability to pass the parallel parking segment of the driver's exam. It's not the first automated-parking system on the market, but it is the only one we've used that doesn't require any user input throughout the entire process. Here's a compelling idea: don't like your smartphone's camera? Detach it, drop it and add a better one. 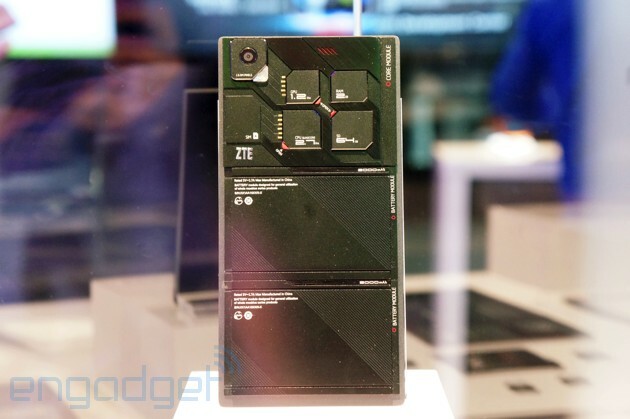 The concept of a modular cellphone has been floating around for a few months now, but ZTE has actually shown us one. The company's Eco-Mobius prototype teased us with a device capable of swapping out LCD, processor, RAM, camera and battery modules on the fly -- a move that could potentially give users full control over their smartphone's specifications. Unfortunately, ZTE's kit was under glass at the show, but it's still a fascinating look at where the mobile market could be going in the near future. You saw snapshots of what it was like to live a day of CES through an Engadget editor's eyes; now join us for a more personal tour of the show floor, the Engadget stage and the trailer we've lovingly called home for the last week. On this week's Engadget Show, Michael Gorman and Mat Smith take a behind-the-scenes look at our CES operations. It's the next best thing to flying out to Las Vegas yourself, and it doesn't even come with the risk of contracting the trade-show flu.